The StoreJet 25P is specifically designed to be extremely compact and light enough for everyday travel and portability. Its racing-inspired extra-lightweight design includes a special checkered aluminum front panel that gives give the SJ25P a stylish and distinctive look that sets it apart from average portable hard drives. For added convenience, the SJ25P features a unique slide-open case that makes hard drive installation and removal easier than ever. Hi-Speed USB 2.0 compliant and USB 1.1 backwards compatible. Powered via the USB port. No external power or battery needed. LED indicates power ON and data transfer activity. 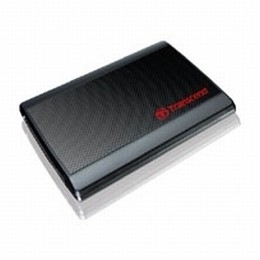 The TRSND-500GB-EXTHDD25 carries a MemoryTen lifetime exchange or repair warranty against manufacturing defects. It may also be returned in original condition within 14 days of delivery for full credit minus shipping. We also supply unlimited lifetime tech support for this item.